Winter is well and truly upon us here in the Northern Hemisphere and many of you may be well into planning this years skiing trip. 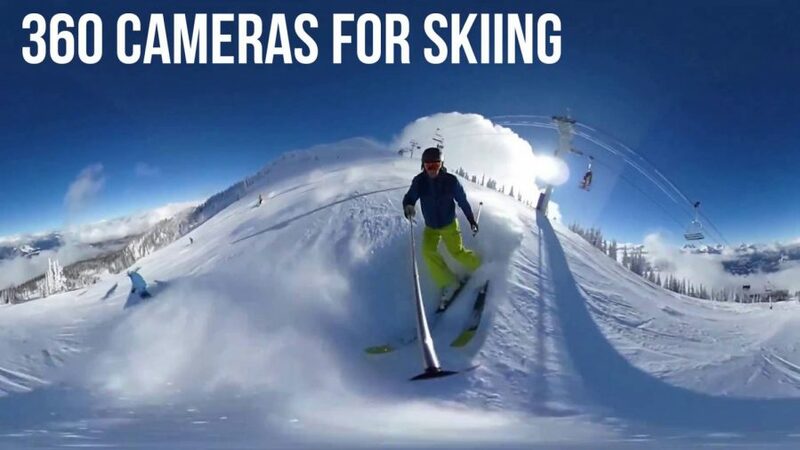 If you want to truly capture the awesomeness of your skiing skills, or you just want some shots of which ever stunning mountain range you happen to be visiting, a 360 camera is by far the best way to do it. 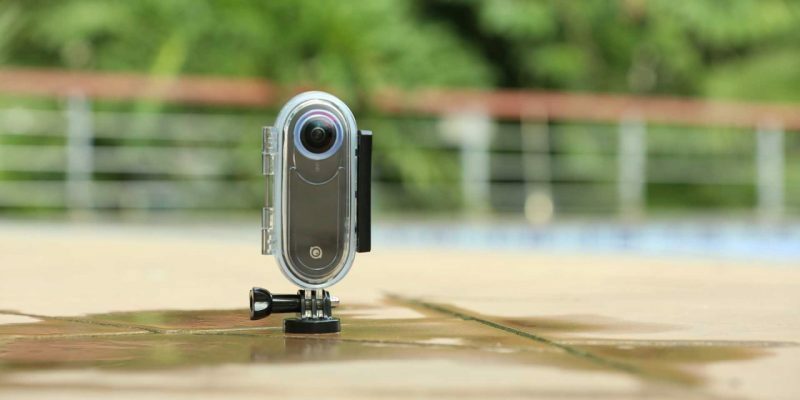 Over the past year technology has advanced so much in this category; there are now several action cameras that can shoot super high quality panoramic 360 videos & photos. Some of the best 360 videos I’ve seen have been shot by skiers and snowboarders, so this may be the year to ditch the standard digital camera and invest in 360. If you can find a camera that has most, or all, of these features then it should be a great 360 camera to take skiing. Thankfully you won’t have to do too much research because I’ve already found all the 360 cameras that have these features, in fact I own most of them so I’m pretty familiar with their capabilities. A word on re-framing: You may not have heard of this, probably because it’s quite new, but it’s an awesome new way to use 360 video to create awesome looking normal video. Different companies call it different things, but the effect is broadly similar. See the video below for what a re-framed 360 video looks like. Why is it good for skiing? The Garmin VIRB 360 is the top 360 action camera available right now. 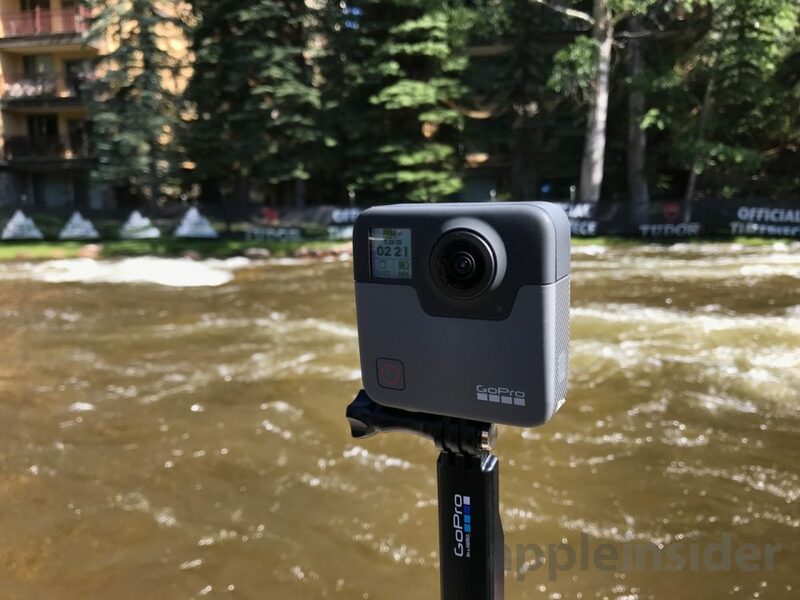 Not only can it shoot the highest resolution of any 360 camera out right now, but it’s also completely waterproof and has a great stabilization feature. Not only will your camera be safe if it falls in the snow, but it will also be able to create smooth 360 video regardless of how much you move it. Let’s take a look at a skiing video shot with the VIRB 360, remember to set the quality settings to maximum. You’ll notice the data projected on this video, which is achieved automatically with the many sensors inside the camera. The video is very high quality for a 360 video, although the lenses don’t handle the direct sunlight too well. The camera is attached to the users helmet, however you can also use a selfie stick or any other type of mount. The VIRB is also compatible with GoPro mounts. Video stabilization works pretty well but I think they could have made it even better if they explored some of the options available in the VIRB Edit desktop software. I think this type of video would be awesome for skiing, and it’s achieved by using the VIRB 360 and its free editing software. The VIRB 360 is available on Amazon.com and has just had a price cut. The Overcapture feature is available on both the GoPro Fusion desktop software and app (coming 2018), so you’ll be able to create these kinds of videos on the go. The reason it’s not my top pick is that it doesn’t have the same data capture capabilities of the VIRB 360 and the video resolution isn’t quite as good. If these things don’t bother you, or you’re a fan of GoPro products, then the Fusion is a great choice. GoPro's first 360 camera. Great looking video and excellent stabilisation. The Insta360 One can shoot in 4K and features excellent software stabilization. While the video resolution is lower than both the VIRB and GoPro, the quality is still very decent, especially if you only intend to upload to social media. Insta360 also have their own re-framing mode called Freecapture. It’s similar to the other re-framing modes I’ve already shown you. 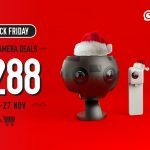 The Insta360 One is a great value 360 camera with loads of video modes, and with the waterproof case it’s suites very well for action shots. A great value 4K 360 camera with some unique video modes. Waterproof case recommended for skiing. Why not the Xiaomi Mijia Mi Sphere? It says it has an IP67 rating, so it should be waterproof and dustproof enough for snow. Is there another reason it isn’t recommended?